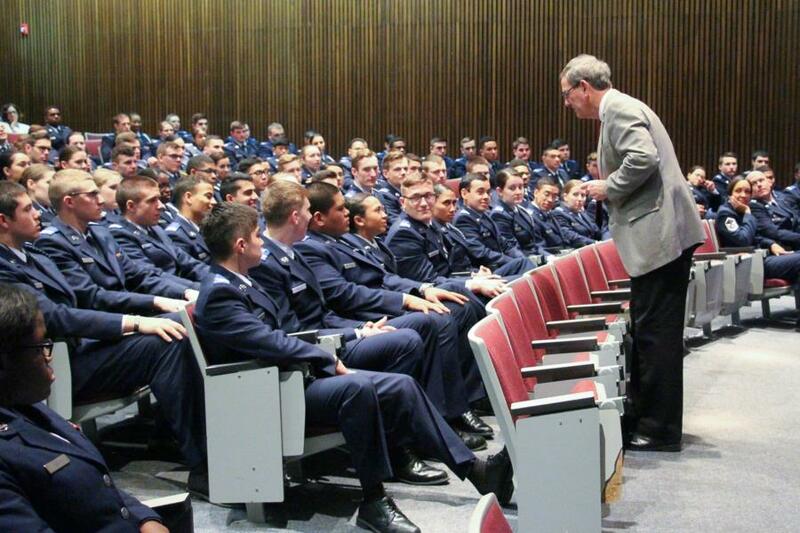 The Prep Cadet Candidates as well as the Prep Staff had the honor of a visit by Ret. Gen. Stephen Lorenz. 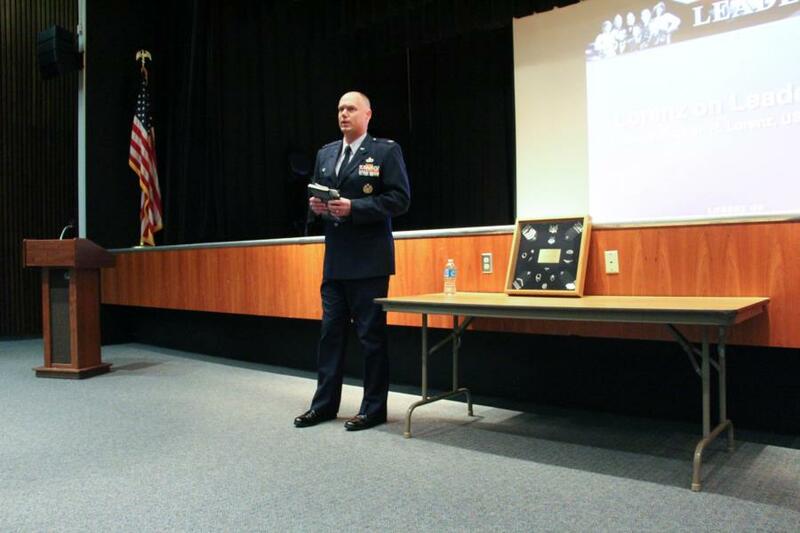 Recently the C/C's read one of his book "Lorenz on Leadership". This visit gave them a chance to discuss several leadership principles as well as other questions they had with him. After Gen (Ret) Lorenz took the floor and talked about Leadership, the C/C's were given the opportunity to ask him questions. At the end, C/C Kennis and C/C Brown presented him with a Prep School Dress Polo shirt on behalf of the 2016 Prep Class. 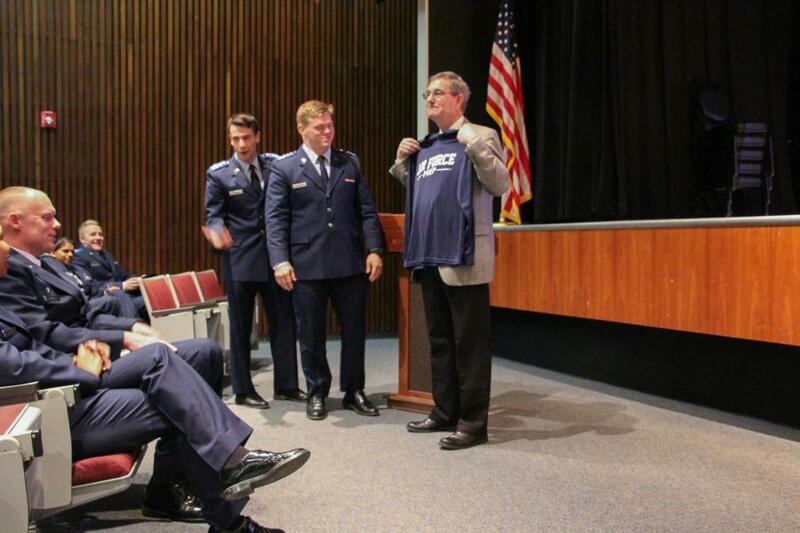 As it turns out, during a visit of his last year with the C/C's from the class of 2015 mistakenly thought he had also graduated from the Prep School before attending the Academy and when they found out he didn't, the Commander Col Szybist made him an Honorary 2015 Prep School Grad with their class. 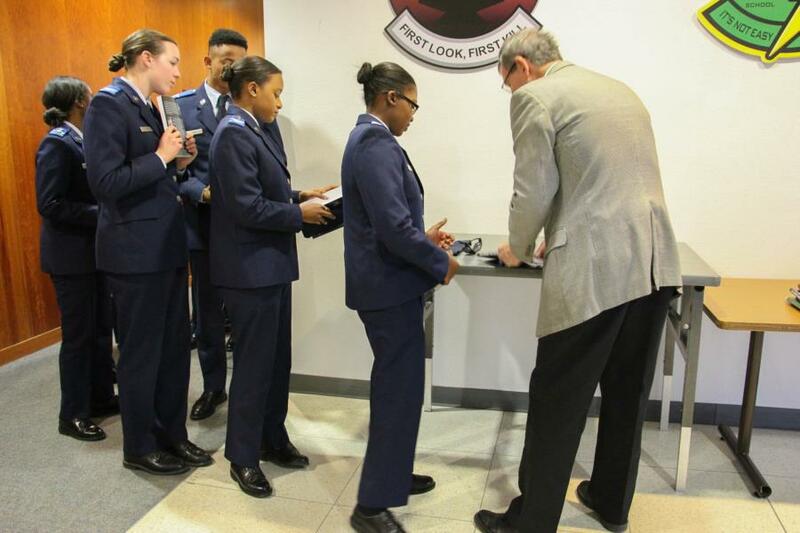 Gen (Ret) Lorenz even took the time afterwards to speak one on one with the C/C's and sign their copy of his book.